Unless you’ve spent the last decade living in a hole in the ground, you’ll probably be aware that this part of the world is “The Shire” for Peter Jackson’s film versions of The Hobbit and Lord of the Rings. The spruced-up Hobbiton film set near Matamata is now a major regional tourist attraction, drawing around 150,000 visitors per year. It’s great fun, even if you’re not a major fan. I took my 80-something Californian aunt and uncle last year and they thoroughly enjoyed themselves. You may find yourself in a bus full of people dressed as elves and orcs. 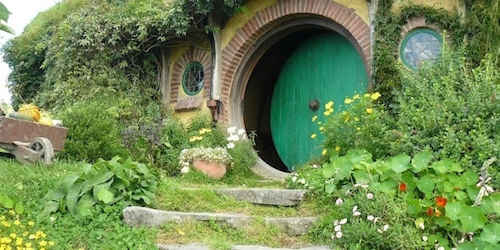 The film set features hobbit holes surrounded by adorable cottage gardens with pumpkins and herbs and beehives and fruit trees. As anyone who has read Tolkien’s books or watched Peter Jackson’s films knows, hobbits are seriously keen on food. That’s one of their more endearing qualities, from my perspective. 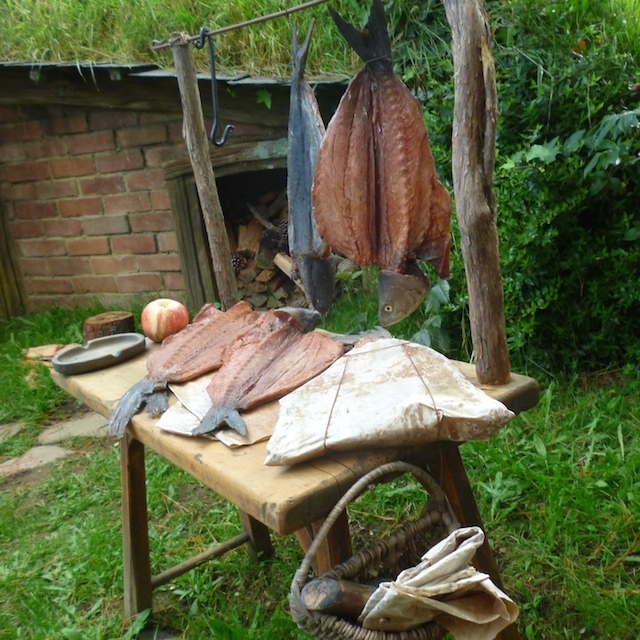 Hobbit food is classic British country fare: the sort of thing Hugh Fearnley-Whittingstall goes on about. And there’s plenty of it here in the Waikato. One trip to the Cambridge or Hamilton Farmers’ Market is all you need to get started. Jonathan from Soggy Bottom Holdings makes terrific bacon (and sausages). 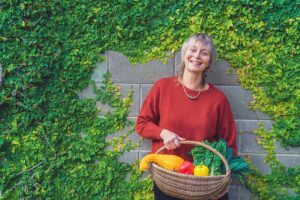 Local free-range eggs can be found at the farmers’ markets, or from one of the shops specializing in local food – Locavore on Kaipaki Rd near Cambridge, or The Farm Shop, at Gordonton. And Lennart Prinz sells fresh locally grown oyster mushrooms at Hamilton Farmers’ Market. Throw a few of Stephen and Jan Low’s beautiful tomatoes from Plainsview Gardens into the frying pan. For toast you couldn’t do better than Volare’s San Francisco sourdough, also from the market. (Not English, but delicious.) With some of my husband Matthew’s marmalade. This is a traditional English delicacy – nothing like a Kiwi meat pie. A pork pie consists of roughly chopped pork and pork jelly, sealed in a hot water pastry crust. It’s eaten cold and in small quantities, with some good chutney, or a pickled onion, or maybe pickled peppers from Southern Belle (also at the farmers’ market). Soggy Bottom sell very good pork pies – dense and rich and utterly delicious. Another British regional treat, also regularly to be found at the farmers’ markets. The business has recently changed hands, and I’m keen to see if they are continuing the high standard of Neil and Melanie Macarthur’s authentic Cornish pasties. These are a kind of flatbread made with flour and potatoes, a traditional Irish bread sold by Meg Daly of Celtic Cuisine. In my household we love tattie scones heated in a skillet and slathered with butter and Sweetree’s superb Waikato honey (mine came from the Hamilton East Bin Inn, but they’re also at the farmers’ markets). Actually, just about anything Meg makes would be greatly appreciated by hobbits… apple turnovers, shortbread, eccles cakes… mmmmm! Hobbits also love beer. You can get good locally made craft beer at Little George in Hood St. (No, I don’t mean Waikato Draught.) The Waikato Foodbasket will be paying them a visit very soon.